Coconut oil is one of the few foods that can be classified as a superfood. Coconut oil can have such a profound positive effect on your overall health. This includes fat loss, better brain function, and so many other amazing benefits! Maybe you've already made the switch to coconut oil in your kitchen, but did you know that coconut oil is basically the very best and healthiest cosmetic product in the world as well? 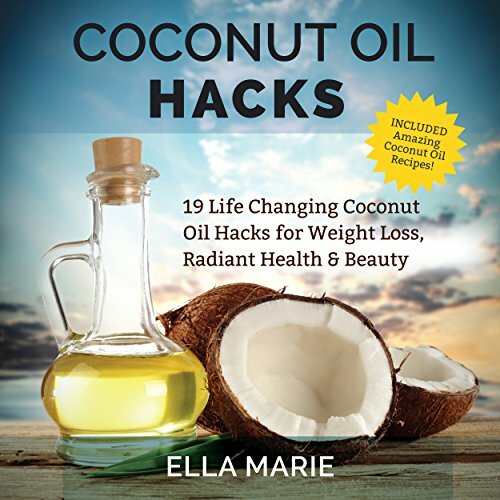 In Coconut Oil Hacks, you'll discover exactly why you should be eating more coconut oil daily - plain and simple! How coconut oil can boost your metabolism! How coconut oil can increase your energy levels! How you can burn calories while you sleep! Not only is coconut oil the very best oil to cook with, it also has so many other uses that need to be discussed if people are to change their health for the better. And rest assured you will get all the information you need in this book and then some! Coconut Oil Hacks mentions why coconut oil is pound for pound one of the best foods you could be incorporating into your diet today! The time is now to take control of your health. In fact today is the first day of the rest of your life, so take full advantage of it.... It's now time to unleash your full potential!